Is UK the best place for entrepreneurs? According to the G20 Entrepreneurship Barometer, created by accountants EY, the UK is the best European country for entrepreneurs, thanks to our tax systems, laws and skilled workforce. The UK has been named as one of the best places in the world for entrepreneurs. As the G20 Leaders Summit got underway yesterday, the UK was revealed as the second best place in the G20 for people to access business funding, beaten only by the US. A report by accountants EY claims the UK is a business-friendly nation due to its competitive tax system, its laws which are sympathetic to entrepreneurs and its skilled workforce. 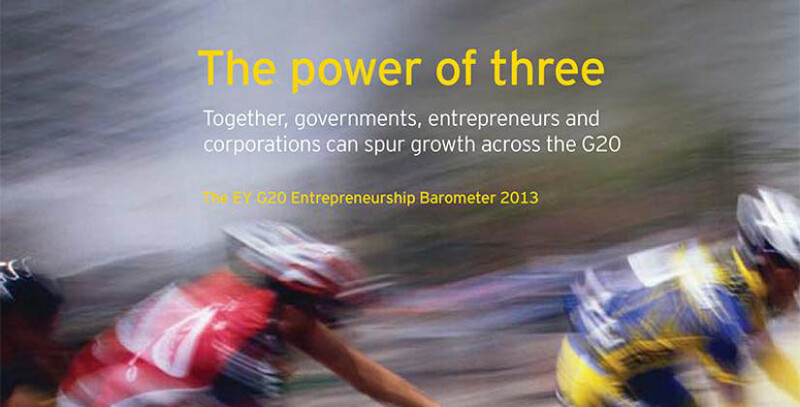 To produce its G20 Entrepreneurship Barometer, EY quizzed more than 1,500 entrepreneurs including 55 based in Britain. The survey results are then used to rank each G20 nation on funding, culture, tax and regulation, support and education and training. The UK appears in Quartile 1, meaning it is in the top quarter for fostering entrepreneurship alongside other business friendly nations – Australia, Canada, South Korea and the US. The UK is the highest ranking European country, beating Germany and France, which appear in Quartile 2. Stuart Watson, Partner at EY, says: “The foundations for a strong entrepreneurial ecosystem are already well established in the UK, with fast growth businesses accounting for nearly 60% of all new jobs. One of the areas the UK performed particularly well in was fostering an entrepreneurial culture. An impressive seven out of 10 business people in the UK feel their efforts are supported by their country, compared with an average of 57% across all the G20 countries. Television programmes including the BBC shows Dragons’ Den and The Apprentice have been credited for helping encourage people to become business-minded. At Bizspace, we work hard to make life easier for entrepreneurs and start-up businesses. By providing flexible accommodation at affordable prices, without asking customers to sign long-term fixed leases, we are making it simpler for people to find the premises they need for their company. Customers can quickly change to an alternative workspace if they find they need more or less space. And our new co-working initiative, The Work Lounge, provides a great place for entrepreneurs to work alongside like-minded people if they are not yet at the stage of needing their own unit.